When Nina Wambiji climbs into a boat on the northern Kenyan coast, she always does so with some trepidation. “Working in the ocean is scary. You can drown, or be eaten by a shark. Al-Shabaab is just another scary thing on the list,” she says. Over the past few years the jihadist militia, originally from Somalia, has achieved a permanent infiltration of Kenya’s northern coast. Attacks—including a skirmish with Kenyan soldiers and the kidnapping of an Italian NGO worker in November—have been intermittent. But northern Kenya remains an important fishing region. “Two currents mix [near] Lamu, causing deep water nutrients to come up,” says Wambiji, a fisheries scientist with the Kenya Marine and Fisheries Research Institute in Mombasa. This means that plenty of marine mammals, turtles, and sharks meet there. And many of these non-target species get unintentionally caught as by-catch in fishermen’s nets, a familiar problem for fisheries around the world. Wambiji is trying to save them, despite the turmoil wrought by al-Shabaab. The basis of Wambiji’s by-catch reduction efforts is the development and distribution of a range of cheap and clever inventions: hacked bottles, twisted hooks, and escape hatches built into fishing nets. The designs she puts forward are based on existing technologies used by fisheries elsewhere, but modified for Kenya’s artisanal fishermen, who often cannot afford more expensive, purpose-built devices. Wambiji has been testing these inventions over the past four years. The work is part of the BY-Catch Assessment and Mitigation in Western Indian Ocean Fisheries (BYCAM) project, which is funded by the Western Indian Ocean Marine Science Association, where Wambiji is a principal investigator. “By-catch is one of the primary risks to many species. It leads to the mortality of hundreds of thousands of turtles, birds, and dolphins each year,” says Jeffrey C. Mangel, a conservation biologist at the University of Exeter in the United Kingdom, who is not involved in BYCAM. Small-scale fisheries, which account for a quarter of global landings, have their share of responsibility, he says. The artisanal fishermen with whom Wambiji is working are keen to change their ways. During a meeting with Wambiji in January, Hassan Omar Mohammed, a 63-year-old fisherman from Ngomeni, Kenya, shook a glass bottle cheerfully. “This was Godsent,” he says, as the bottle tinkled gently. The sounds came from a nail hung inside the bottle. Tying several of these gadgets, called glass pingers, to his net improved his catches, Mohammed says. “That is still to be confirmed,” says Wambiji. “But preliminary results show that they do scare dolphins away from the nets.” The design is meant to reproduce the effect of electronic pingers, which are too expensive for fishermen in low-income countries. “The ability to translate the by-catch mitigation gear to fit with readily available materials is critical,” says Rebecca Lewison, a conservation ecologist at California’s San Diego State University, who is not involved in BYCAM. At the same meeting, another fisherman in the group, 53-year-old Mohammed Hussein Ahmad, showed off two hooks: one shaped like a standard J, and the other that had been rounded into a circle, which the fishermen are using to reduce by-catch. When a turtle swallows a circle hook, it can be extracted without cutting the turtle’s stomach, thanks to its inwards-bent tip. The meeting took place in Malindi, Kenya, roughly 30 kilometers south of Ngomeni, because going to the northern town is unsafe. “After an Italian [NGO worker] was kidnapped [in November 2018], a three-week curfew was called. And fishing at night has been prohibited for even longer,” Ahmad says. “The impact of the curfew is big. Lamu fishermen fish in deep waters: it takes some time to get there and come back, and now they cannot go out at night. When I look at the economic side, it’s sad. When I look at the scientific side, it’s sad, too,” Wambiji says. She still drives to Ngomeni regularly. But in 2016, she stopped going to Lamu, the northernmost coastal town. A few of her team members still dare to go there to collect data, but not by land. Instead, they fly every three months. Wambiji believes that reducing by-catch is a service to fishermen, rather than a burden. Big marine animals are assets for ecotourism, and keystones of ecosystems. For example, sharks keep coral-eating fish at bay, while leatherback turtles control jellyfish. Accidentally killing them may result in fewer edible fish, due to a domino effect in the food chain. 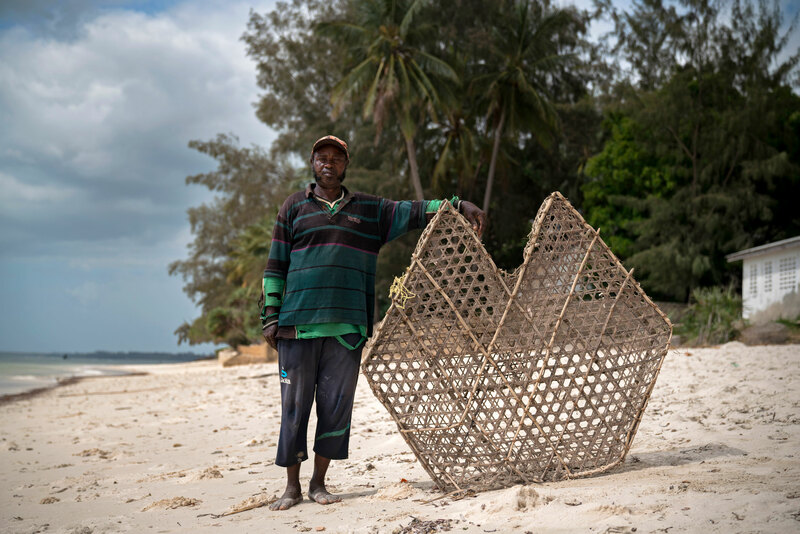 Wambiji is also trying to get fishermen to modify the design of a traditional fishing basket to protect juvenile fish. The traditional basket is shaped like a hexagon, with a hole cut into one side that leads to a twisted tube through which fish can enter but cannot escape. But this approach catches fish of all ages, which is bad news for fish conservation, as killing juveniles before they’re able to reproduce will cause the population to shrink. For this reason, Wambiji is trying to get the fishermen in Msambweni, Kenya, to adopt a modified basket trap with two additional slits. These slits, which are smaller than the entrance hole, allow juveniles to escape. Back in her office in Mombasa, Wambiji showed the inspiration for this adaptation to the traditional hexagonal basket. Known as a turtle excluder device (TED), this design comprises a metal circle crossed by bars that is fitted inside the trawl nets used by shrimpers. Shrimp can cross between the bars, but if a turtle is caught in the net, it slides along the bars toward an opening from which it can escape. By 2023, all seafood imported into the United States will have to meet certain conservation standards. “If we use TEDs, we will have an opportunity on the US market,” says Wambiji. This story is part of the African Women Scientists on the Move project, supported by the journalism grants of the European Journalism Centre. 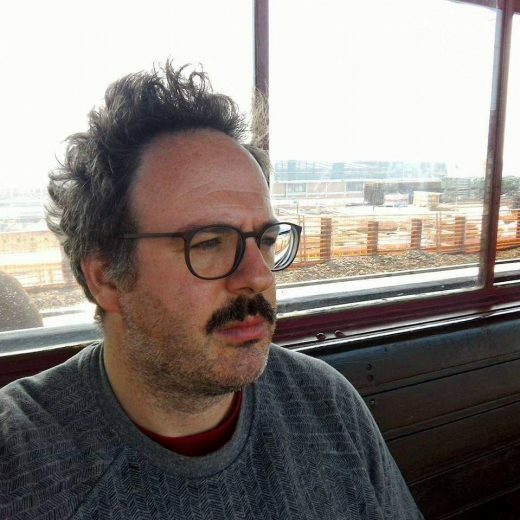 Michele Catanzaro is a journalist based in Spain. He has a PhD in physics. He writes for Nature, El Periódico, and other media. He is coauthor of the book Networks: A Very Short Introduction (2012) and of the documentary Fast Track Injustice: The Óscar Sánchez Case (2014). 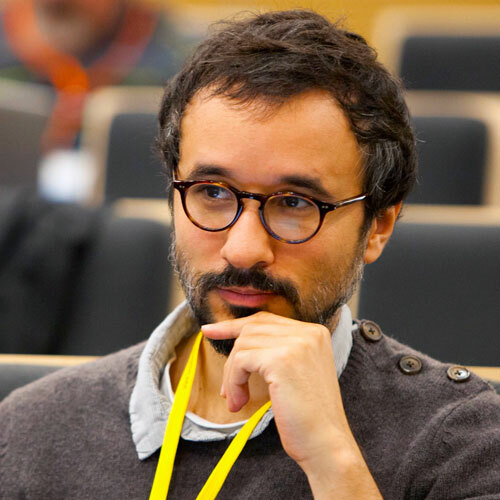 His work has been recognized by the King of Spain Journalism Prize and the European Science Writer of the Year 2016 Award. Cite this Article: Michele Catanzaro , Marco Boscolo “Fighting for Science in the Shadow of Al-Shabaab,” Hakai Magazine, Apr 3, 2019, accessed April 23rd, 2019, https://www.hakaimagazine.com/news/fighting-for-science-in-the-shadow-of-al-shabaab/. During decades of civil war, illegal fishers ransacked the country’s waters.